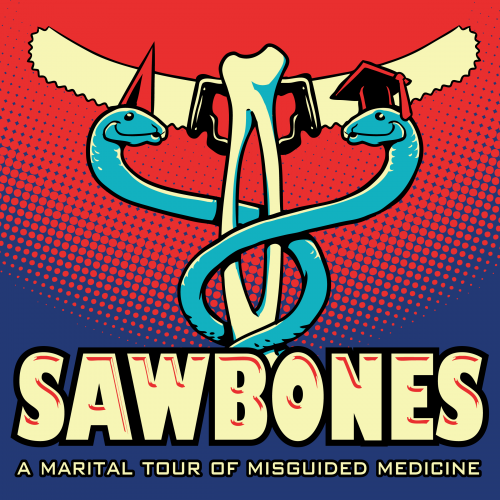 Sawbones: A Marital Tour of Misguided Medicine: Dr. Sydnee and Justin visit the home of Coca-Cola to recount the history of medicinal soda pop and try to finally solve the age-old dispute of Coke vs. Brad's Drink. Historical Figures: What influenced the famous father of communism, and why did he believe it was the best system? Past Time: Come face-to-face with Drepanosaurus, one of the strangest reptiles that ever lived on Earth, and one that has presented an anatomical mystery for over thirty years! SuperSoul Conversations: Oprah's personal selection of interviews with thought-leaders, best-selling authors, spiritual luminaries and more.